Notes The Pz.Bef.Wg III Ausf E was the third model in the series of command tanks based on the Panzer III. The differences were that turret was bolted into place, a frame antenna was added and the dummy gun could now resemble either a 37mm KwK 36 or 50mm KwK 38 depending on the model. Other changes were made with the addition of various pistol ports and vision ports. 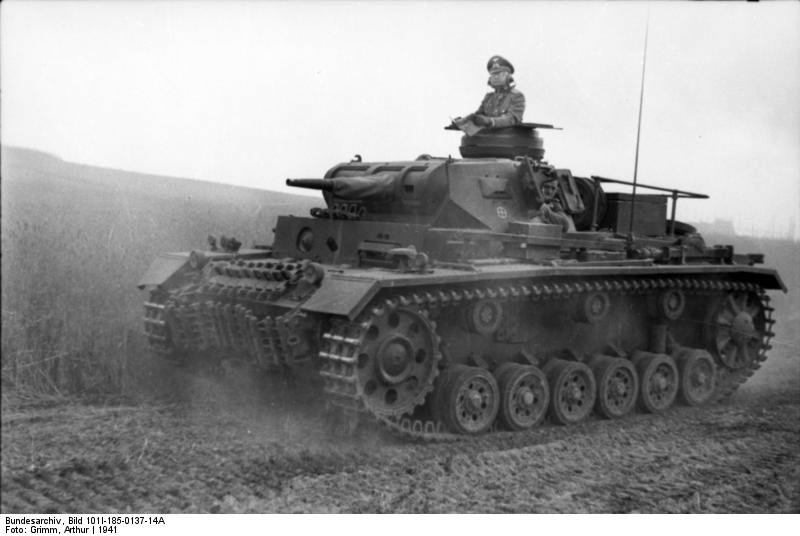 145 were built and these were issued to panzer battalions and regiments plus armoured signal units. These vehicles saw action in the Balkans, Russia and North Africa.